Backed by 30 years of experience making Peoria’s grass lush and healthy, Commercial Irrigation & Turf is the one to call. We are proud to be your leader in commercial, residential and golf irrigation in Central Illinois. We also perform geothermal well field installation as well as our other residential and commercial divisions. 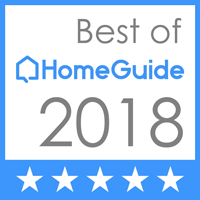 Our team services all of Peoria, Bloomington, Champaign and surrounding areas, thanks to highly-trained professionals who work with you through every step of your project. Featuring hands-on training in installation and construction, our staff is well qualified to ensure you get top value for your investment. 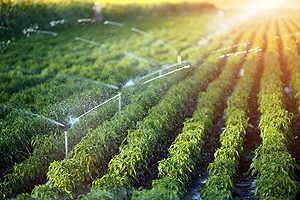 For irrigation systems Peoria, IL can count on, choose Commercial Irrigation & Turf as the trusted name in Central Illinois irrigation. 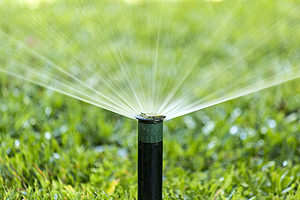 Our specialty is commercial irrigation, working for businesses of all sizes throughout Peoria, IL. We utilize the latest advanced technology such as CAD drafting for plans and specifications, custom programming charts and advanced irrigation controllers. Thus, these systems help us achieve high-quality results. We work with you through all phases, from preliminary evaluation and budget to construction and closeout documentation, to ensure you are completely satisfied. In conclusion, to learn more about irrigation systems in Peoria, IL, call Commercial Turf & Irrigation today at 309-698-3011. Or, fill out our online form for more information. We are conveniently located in East Peoria at 109 Commercial Drive.